Vintage 1980s Chanel No. 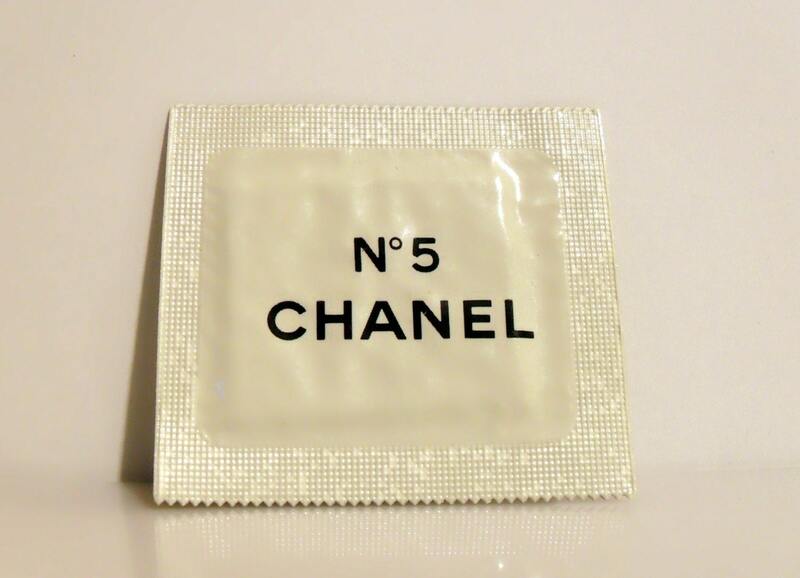 5 by Chanel Perfume Manufacturer's Sample Towelette Packet. 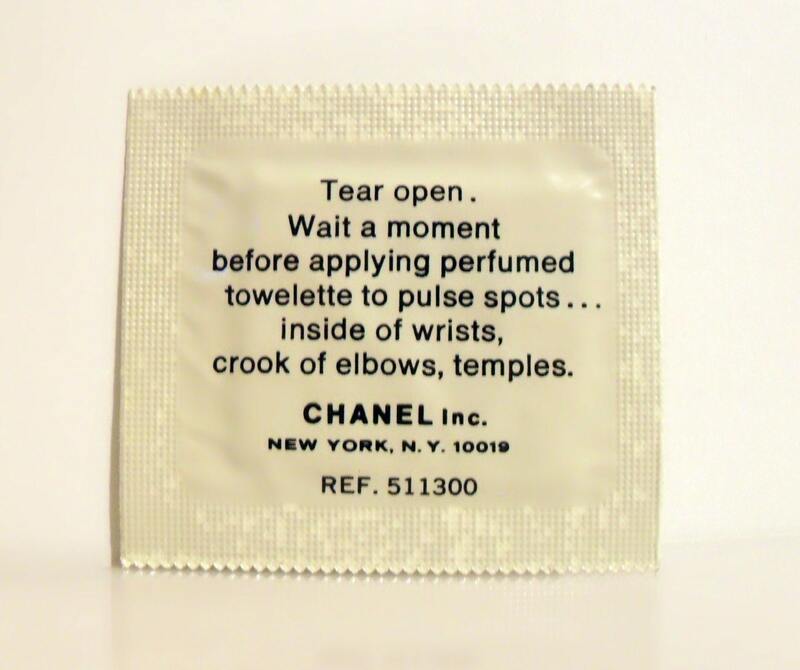 The foil packet contains a single use towelette that was soaked in the perfume. It was never used. The perfume is old and no longer fresh as it once was, I have no idea if it is still usable or if it's dried up inside. It is being sold as a collectible only.